You must make bookings at least 5 minutes in advance of the time at Great Central Bar & Restaurant. An ever-evolving menu of globally inspired classics. A handsome oak paneled room, intimate and luxurious, yet relaxed and comfortable. Perch at the friendly neighborhood bar or relax in an armchair and bask in the richly historic, authentic atmosphere. Great Central Bar & Restaurant offers a delicious modern-European menu in a stylish yet relaxed atmosphere. Our restaurant is also popular for chic cocktails and refreshing beers throughout the day. The dress code is smart-casual.The Landmark London, originally named The Hotel Great Central, was built in 1899 as one of the eras great railway hotels. The hotel was designed around a vast courtyard which was unique in London and provided a dramatic entrance. It also allowed light into all the bedrooms and established standards of luxury and magnificence that were hard to equal. It was a lovely place and the waitress was attentive to our dietary needs. Service was very attentive, nice location - opposite Marylebone Station. Food was what you might expect of a very good hotel restaurant - an enjoyable lunch. Perfect for lunch in London in a great location. Excellent service and food was really good, ordered 5 different mains and all 5 at the table said there food was of a high standard. Would recommend. What a great restaurant tucked under The Landmark. Great food andgood value. Was great for a mid week business lunch. Service is poor for the standing of the hotel. We were asked if we wanted olives and bread without having the set menu on table. We agreed and discovered too late they charged us £3 for olives and another £3 for 2 tiny bread portion with olives in it. Then we ordered a glass of chablis to match perfectly with our main course but they brought us a red wine saying it was a glass of red chablis (it doesn't exist). We were celebrating a special birthday. It was a very enjoyable evening for us. I can honestly say this was one of the best dining experiences we have ever encountered. From the moment we arrived to the moment we left we were amazed by the service provided by our servant. Noella is an absolute credit to the Landmark hotel and I cannot speak of her praises high enough. I will absolutely recommend this hotel to all of our friends and family and is a MUST for anyone visiting Marlybone. The food was outstanding and delicious and I cannot recommend 222 enough. Thank you for making our night special! Lovely bar and restaurant in the basement of the hotel. Food was very good and all the staff were friendly, knowledgeable and attentive. A great dining experience. Our waitress was lovely. Kind and attentive. Prawn cocktail was a little colder than usual but edible after letting it sit for a few minutes. The English asparagus on brioche with poached egg was decent but could have done with a little more heat and egg not overcooked. Portions were smaller than the last time we visited. Sea bream on crab risotto was plentiful but could have had a better ratio of crab to rice. Highlight of meal was the sweet potato fries. Light and delicious. The selling-point of "Twotwentytwo" in Marylebone was the service, which was friendly and efficient. The food was tasty, however the mains portions were relatively small, leaving me unimpressed with the overall value-for-money proposition. Good service, relaxed atmosphere and impressive venue. Food is decent as well. Lovely atmosphere. Excellent Service. Food good. Portions a little small but quality of food is very good. the menu looks good, the restaurant looks good, and entering through the grandiose Landmark hotel our expectations were raised. Sadly, the substance just wasn't there. The food, when it eventually arrived, was nice enough but out steaks were over-cooked and overpriced. We were almost 2 hours for 2 courses. Maybe with hotel trade passing through they don't have to make much of an effort to drive business. As always, the prawn cocktail hit the spot. One of the very best in London. The warm focaccia sticks was delicious as always. Veggie burger and salmon burger were a delight as were the non- greasy fries. 222 is a comfortable, pleasant hotel bar/cafe. Convenient for a quiet, perfectly adequate slightly pricey meal. Service was fine. Regularly use Landmark Hotel for business and social events. Team at 2Twenty2 always very friendly and accommodating. Normally a good buzz early evenings & great location. This is a typical hotel restaurant, well designed but little atmosphere Everything was adequate but nothing shone. The salmon with the Caesar Salad was raw in the middle. I was told that they served it medium rare. If this is the case surely the customer should be told when ordering, I was asked if I wanted anchovies, 2 being the number on the Caesar salad. nice place for a business lunch and very conveniant for marylebone station! Cosy during the winter months with the open fire and comfy chairs. it has the image and corresponding prices of a top class establishment but the food and service were well below par. to get 3 med/rare steaks to be cooked med/well is a basic error and just exemplifies why this is a poor review. will not be returning. meal was ok, quite pricey when compared to other local restaurants. I suggest to move the two large chairs from in front of the log fire so several more tables could see it as it does add to the ambience. Its an ok place, but so many more local that offer a better deal. Good local restaurant, the food was good, though I would say having got the steak, the specialty steakhouses do those better. The other half had the salmon which was good though as were the cocktails. Really nice food with plenty of choice for varied tastes. Service was exceptional, the staff were very attentive without being intrusive. Lovely ambience and decor. Does not feel like a hotel restaurant at all. Nice music and although busy, was still quiet enough to be able to have a quite conversation comfortably. Will definitely return! 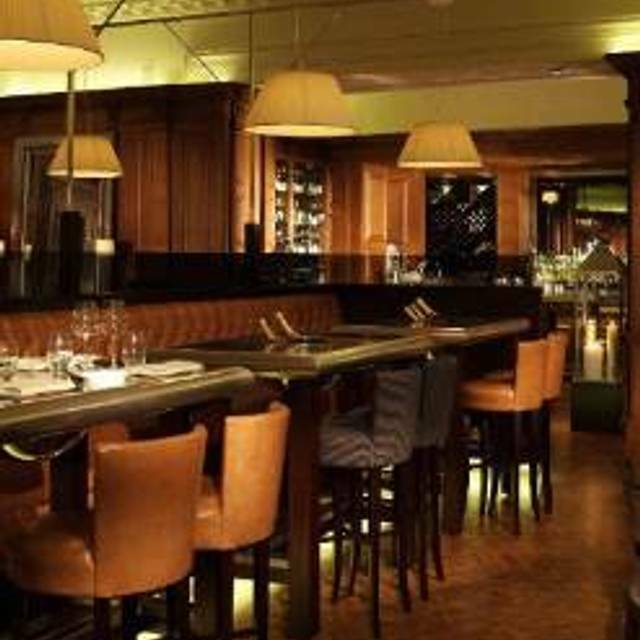 I love the Landmark hotel especially the Antrim for lunch but was a bit disappointed with TwoTwentyTwo. Paying £30 for a mediocre fillet steak. The waitress was lovely and friendly and nice ambiance all be it a bit dark . Would I go again..... I don't think so but give the hotel bars a try it's a nice place. Most enjoyable meal. Good food, I particualy liked the tuna tartare. Service was good and ambiance. Very enjoyable, casual dinner pre visit to Wembley. Comfort food, well flavoured and cooked. Excellent service. Truly enjoyed our dinner here at 222. We flew in from Los Angeles and knew we wanted to dine at the hotel. The restaurant far exceeded our expectations. Good knowledgable service and the food was wonderful. We love our raw meat and the steak tartare was some of the best we've tasted. with the small rocket salad and fries it is a complete meal. When next in London we will dine here again. This was my first visit to Twotwentytwo but is unlikely to be my last. The food was really good (and a good selection on the menu), the service was excellent and the ambience was really nice - although probably more suited to cosying-up in winter than a summer's day. Tables are well spaced and food is consistent - though not particularly innovative. Service is often slow and it isn't cheap considering the short menu. But seeing as it is located within the bowels of a hotel, which also has another, "superior", restaurant, perhaps this is just as it was always intended: a good place for a course or two and a discussion. Treated a special work colleague to a birthday lunch. Food was lovely and as a special touch, decorated the birthday girl's desert plate... #gush# #gush#!! Thank you so much especially to the new Manager!!! See you back soon. I really enjoyed my first visit here - whilst walking through the very quiet and slightly sterile Landmark Hotel to get to the restaurant I worried that the atmosphere would be rubbish, I was very wrong! Really great place, opulent decor and a massive menu. Will be going back! I went there for christmas eve dinner. The food was awesome and the ambience of the restaurant was cozy quiet and romantic! A hidden gem! Deifnatly a business restaurant, not romantic and overly priced for what is effectively pub food. This restaurant is located in the Landmark Hotel, so nice Central location. The atmosphere is nice and was perfect for a business dinner. The food is good, nice attention to preparation, and reasonably priced. The cocktail menu had fun choices. Overall, a very positive dining experience. Of course, they couldn't find my Top Table reservation. As always, staff, food, service and ambience was fabulous! Very nice decoration. Possibility to walk out through the outstanding landmark hotel. Food is very well done, though classic. We went for dinner with a few friends and the food was excellent. They were accommodating with special food requests and service was impeccable. The only thing I didn't like was an order of spinach which was extremely creamy and generally didn't taste so good.